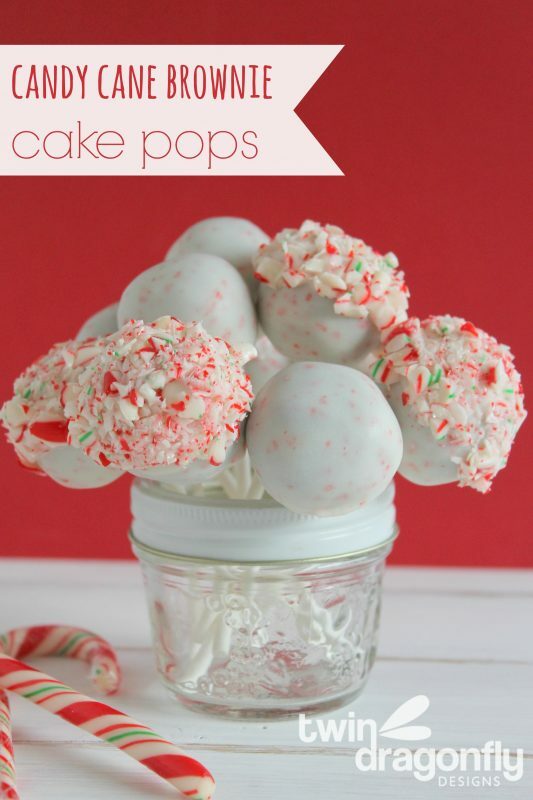 These cake pops are AHmazing!!! Seriously, so good. And the result of a recipe malfunction! Ha ha. This year I decided to make Candy Cane Brownies for our annual baking exchange. After pulling the first batch out of the oven I made the mistake of trying to take the brownies out of the pan before they were completely cool. They fell apart. I was left with an entire pan full of moist, delicious broken brownies. 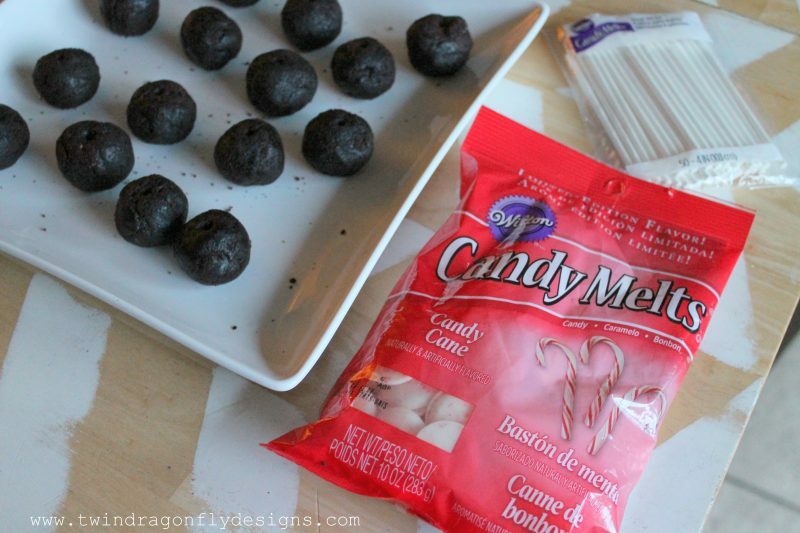 What do you do with broken candy cane brownies? 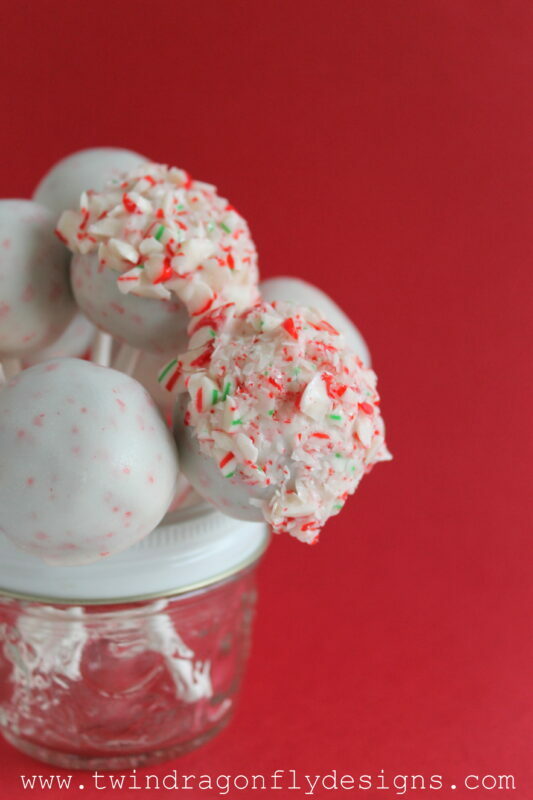 Make these Candy Cane Brownie Cake Pops of course! I made a trip to Michaels and picked up Candy Cane Candy Melts, lollipop sticks and crushed candy cane bits. Then I simply assembled the cake pops. Roll walnut sized balls from the cooked brownie. 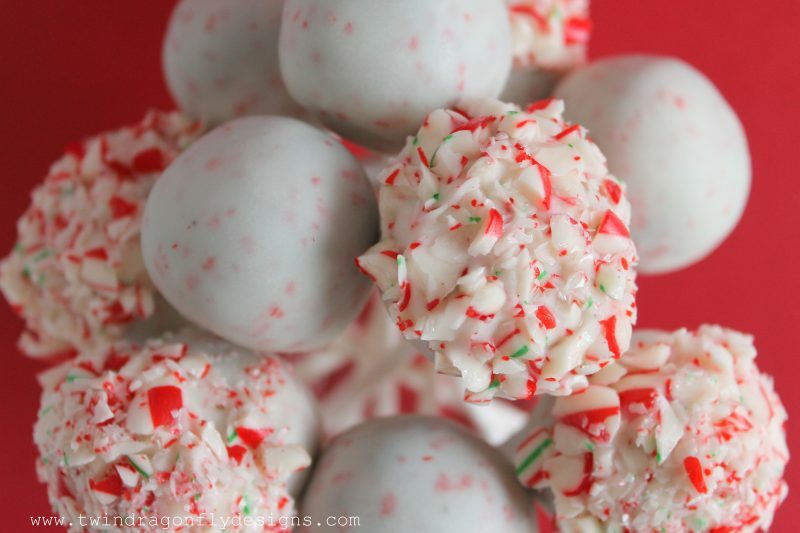 Melt peppermint candy melts in a microwave safe dish, add oil and mix well. Dip the tip of the lollipop stick in chocolate and insert half way into brownie ball. Dip the entire ball into the chocolate and coat completely. 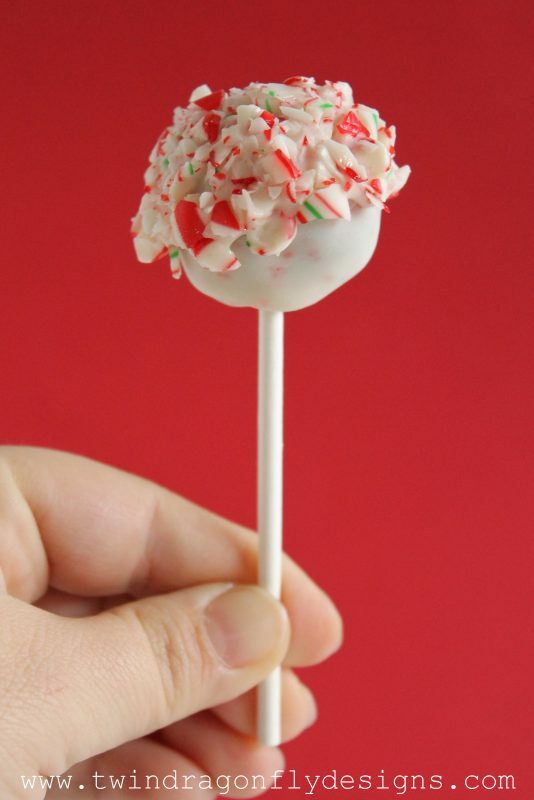 Dip the cake pop into crushed candy cane bits (optional). Place into a styrofoam tray to set. Trust me, they taste even better than they look!!! Promise. 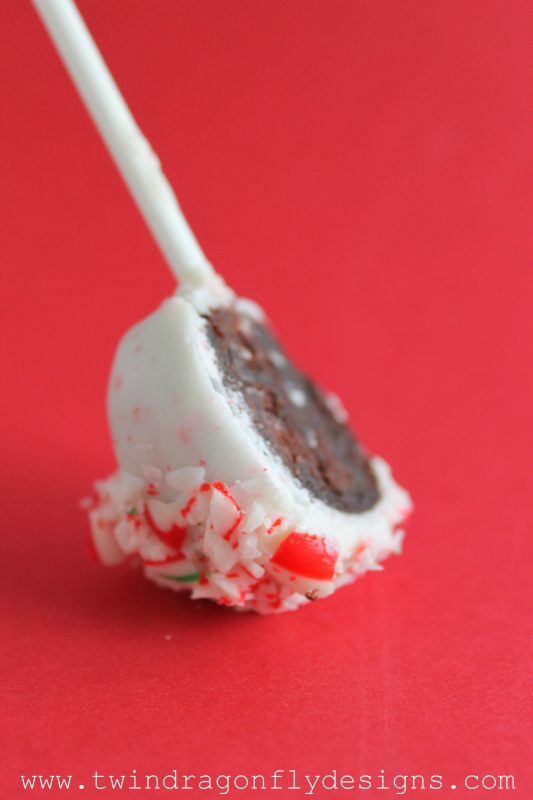 These Candy Cane Brownie Cake Pops would be a perfect addition to any of your holiday festivities. 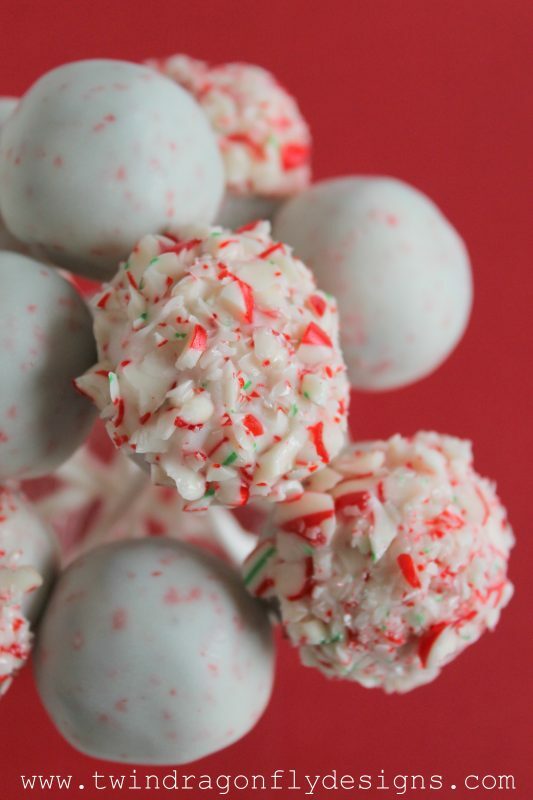 The peppermint and chocolate flavours are delish and the candy cane coating is always a hit! 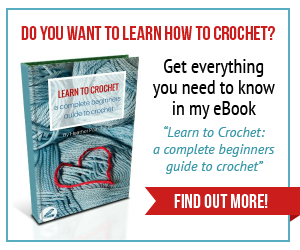 I would love to see these packaged and individually wrapped in cellophane. They would make the cutest party favours!! 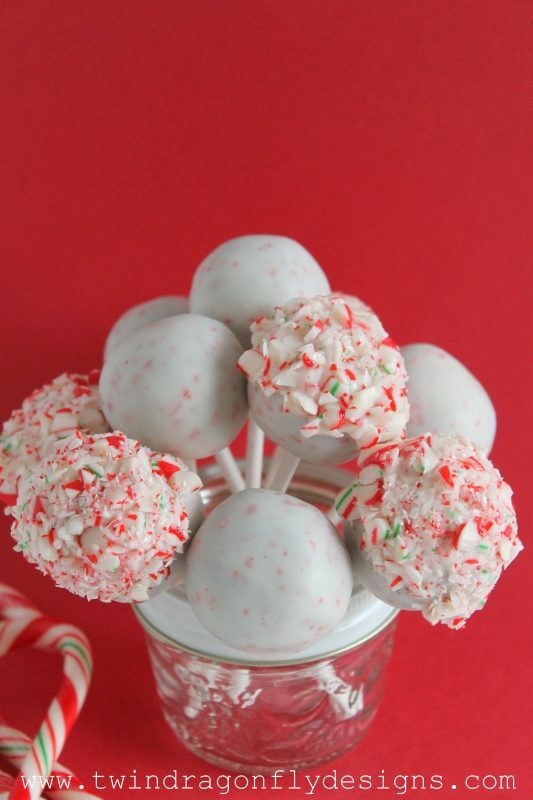 Thanks a ton for posting the recipe of candy cane brownie cake pops.I tried it and it tasted really good.Kids loved it the most. 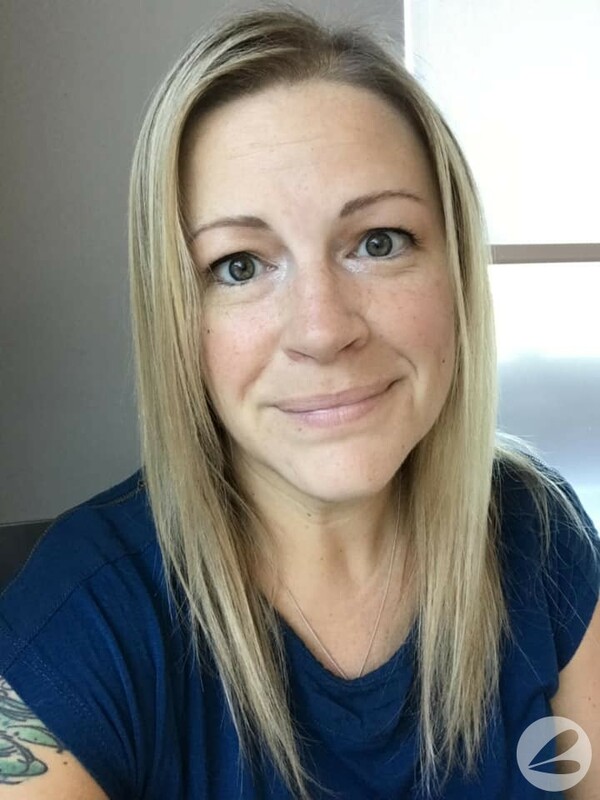 I am a great fan of you.You must be some superhero for being able to find time to cook,craft,look after the family and write.Hats off!